LAS VEGAS (KTNV) — There's a lot you can do to start saving now, without even walking out your front door. Number 1: negotiate your bills. Super shopper Channelle Beller says, she just did it with her telvision provider. "We negotiate our bill pretty much every year," says Channelle. Just call and ask about the latest promotion. As long as you're in good standing, most services are willing to work with you. Even with hospital bills. According to NerdWallet , medical debt is the number one cause of personal bankruptcy. The good news is, most hospitals offer some leeway, including interest-free payment plans. "There's Buffalo Exchange . You can go to, a good one for kids, is Plato's Closet ," says Channelle. Number 3 on our list: go vegetarian for just a day. A Best Life magazine study shows giving up meat just once a week and opting for something like grilled cheese and tomato soup, can save you between $5 and $10 a week. 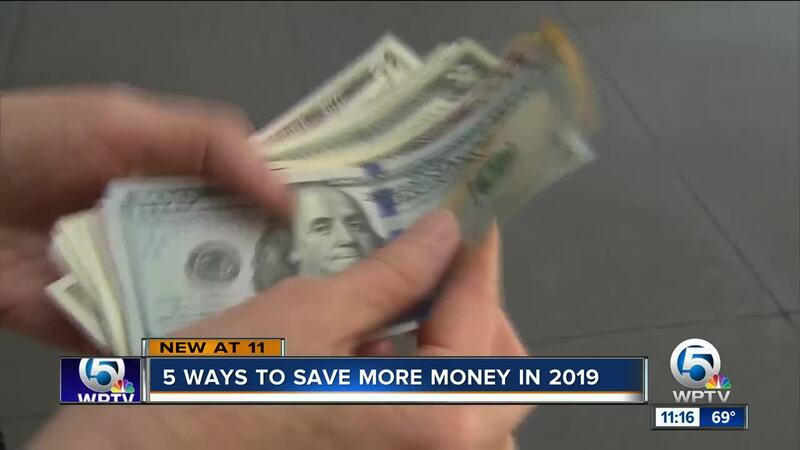 But if you're really serious about saving money this year, Financial Analyst Steve Budin of the Budin Group says, you better grab a pen and paper. Number 4: write down your monthly expenses. And number 5: Steve says keep a change jar. Putting what's left in your wallet at the end of the day in a jar, can save you big money in the long run. Tossing just a $1.50 into a jar every day for a year, will earn you nearly $600 after 12 months. But super shopper Channelle has a warning. She keeps all her loose change and it still disappears, as she learned when she recently approached her teenage son. "And I'm like, where's the change? Well I went to Coinstar and I cashed it in. $23," says Channelle.